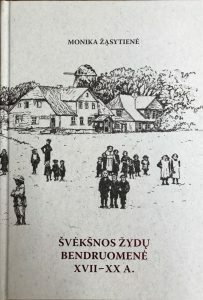 The museum expert Monika Žąsytienė from Švėkšna (Lithuania) has published an important book with the title “The Jewish Community of Švėkšna from the 17th to the 20th Century” after several years of work. She interviewed descendants of the community all over the world and conducted research in many archives. This book is also interesting for the work of our association, since the East Prussian border run close to Švėkšna and there was a lot of trade and traffic across this border. Many thanks for this important work! We hope that chapters will also be translated into English!